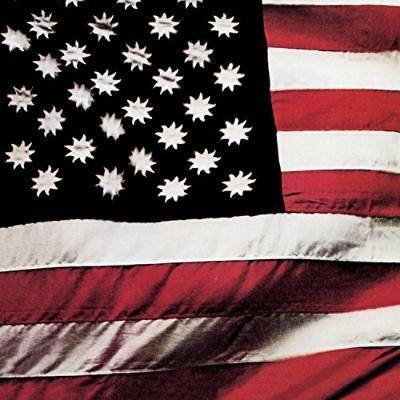 Sly And The Family Stone was the family I wanted. Women, men, black, white, folk, funk, it was the coolest tribe I'd ever seen. And what a record. Maybe the most perfect record ever made. I first heard Family Affair on the radio and it didn't sound like anything else. I wanted to hear more but as there were no record shops in town I was out of luck. Then one night, on a college radio station, a more mainstream rock station, they played 'Thank You For Talking To Me Africa'. It sounded like nothing else. I couldn't believe it. I made my mother take me to Kansas City so I could buy it. This was a year after it came out. I bought two records: There's A Riot Going On and Talking Book by Stevie Wonder. I played nothing but those two records for months. I was fascinated by the back cover of Riot, a collage of Sly's party people. I later learned that the white guy halfway down on the left hand side was Jim Ford. Jim was a skinny country kid from Kentucky who went to L.A. and became Sly's best friend. He wrote songs for Bobby Womack, Aretha Franklin and the Temptations - and recorded a masterpiece of Country Soul called Harlan County. A friend gave me a cassette tape with the words HARLAN COUNTY / JIM FORD scrawled on it. 'You might like this', he said. I spent that summer with it constantly in my tape deck. Play, flip, rewind, play. Repeat. Turn it up and start again. Everyday. All day. The music felt at once foreign and familiar, as though it were something I'd grown up with and forgotten. What first struck me about Jim Ford was his lack of restraint; the feral edge to his delivery. What the writer Barry Hannah called 'gutter zeal'. As if he wanted, and had, no other option, no safety net. He sounded like a man in the midst of a breakdown. Nothing held back. His voice seemed to speak directly to some unhinged place. Jim Ford was born in Johnson County, Kentucky, a generation after the great bluegrass singer Hylo Brown and alongside the future Queen Of County Loretta Lynn. He grew up face to face with desperation. I used to wonder how he fell in with Sly Stone and Bobby Womack. This skinny white boy from the other side of the country. How had he walked in and established himself at the centre of things? Assuming they met at a party, (it's hard to imagine Sly Stone and Bobby Womack outside the perpetual smoke swirl of a party) what did that party look like? Crazed probably, off-kilter, twenty-four-hour, everyone with a drink, a handful of pills, a guitar and a song, talking trash and connections, strung out in a palm shaded house. Writing 'Niky Hoeky' for Aretha, 'Harry Hippy' and 'The Point Of No Return' for Womack; a skinny white boy throwing down idea after idea, story after story. It feels as if he's making up songs on the spot, so revelatory and fresh do they sound. Like Ornette Coleman improvising a miracle out of thin air, a detail here, a yelp there, a melody that flutters, a story that reveals itself with a mysterious gesture.